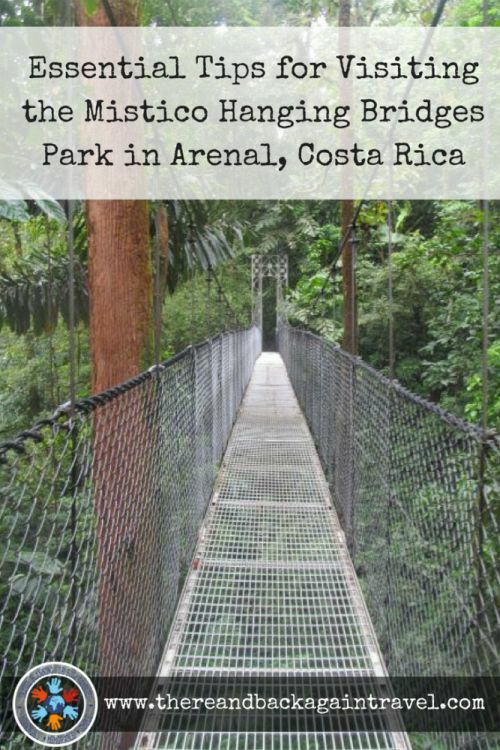 When looking for things to do in Arenal Costa Rica, I knew right away that the Mistico Arenal Hanging Bridges Park was at the top of our list. 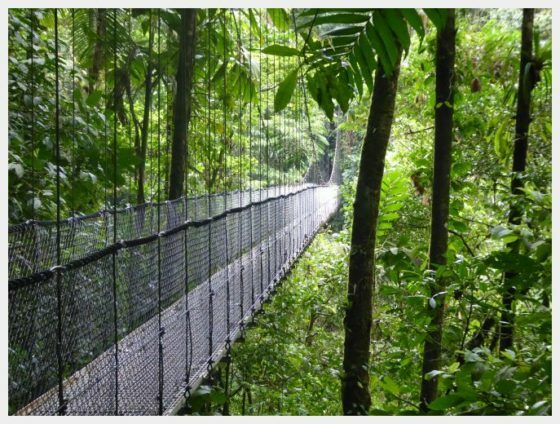 Costa Rica is a country full of bucket list hikes and amazing adventure activities. 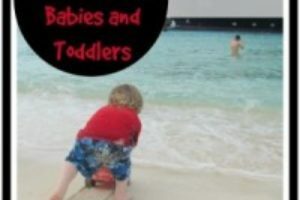 Sometimes, it seems like things to do in Costa Rica with toddlers are not as easy to find. 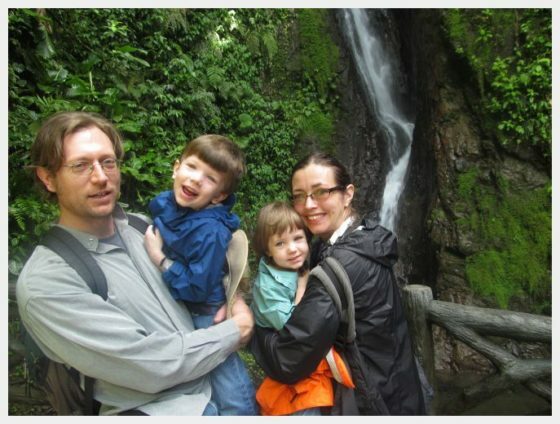 The Mistico Arenal Hanging Bridges Park is easily accessible by hikers of all abilities, including toddlers. Crossing the suspension bridges gave us all a thrill, and a birds eye view into the rainforest canopy. Getting to Mistico Arenal Hanging Bridges Park from La Fortuna is a simple thing. 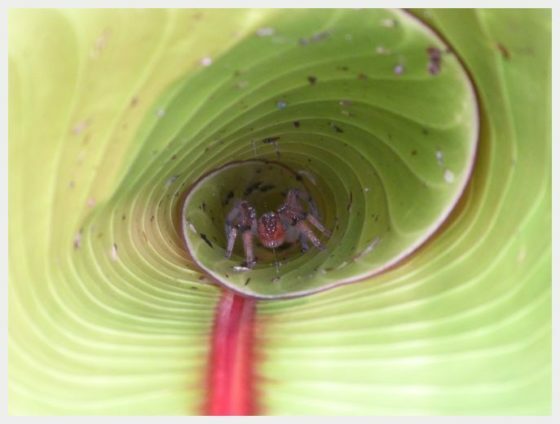 If you have your own vehicle, the park is approximately 30 minutes from downtown La Fortuna. Head west on 142 until you cross the dam across Lake Arenal. You will make a right hand turn just after crossing the dam and follow the signs to the park. We did not have a car, so we chose to book the transportation provided by Mistico Arenal Hanging Bridges park. We booked on their website as a part of our tour. There are not any regular, local buses that head to Mistico Hanging Bridges Park. A taxi fare is approximately $20-$25 each way. There are many tour operators that will combine the tour and transportation together. This is often a more budget friendly option if you don’t have your own vehicle. Our hike through the Mistico Hanging Bridges Park was one of the highlights of our amazing trip to Costa Rica! The Mistico Hanging Bridges park consists of a series of 16 bridges. Six of them hanging suspension bridges as high as 150 feet in the air! The bridges are connected by two miles of smooth, well maintained trails. 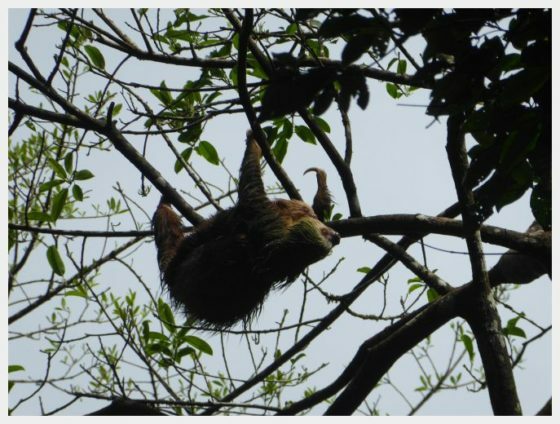 The true highlight of our animal experiences during our Arenal hanging bridges hike was seeing a mother sloth up in a tree with a baby clinging on to her. My son had been hoping to see a sloth for the entire trip after reading a book about sloths before we left. This was for him the highlight of the whole trip! The bridges themselves were amazing, and crossing them gave us a really unique perspective of the rain forest canopy. They did wiggle a little bit when we crossed, but we felt very safe at all times. The park is very careful about how many people are on the bridges at one time. There was also a monitor at the beginning of each bridge to make sure, and all of the bridges looked to be strong and in good repair. We also saw a beautiful waterfall during our hike, which was a great opportunity to stop and take this amazing family photo! 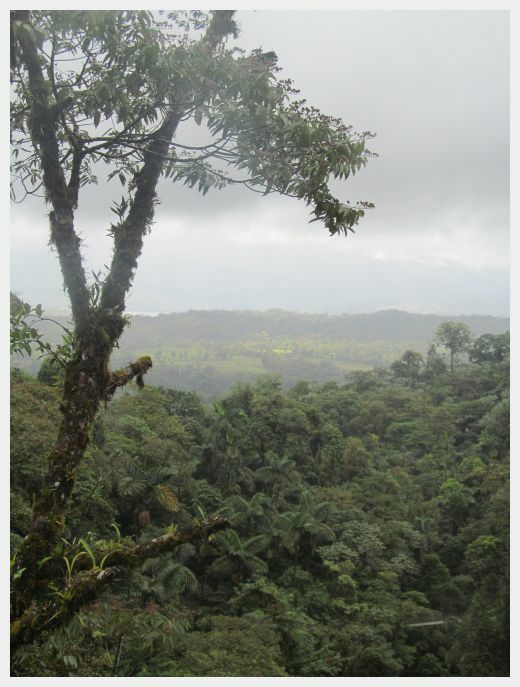 The park is located in a rain forest, which means that there is a better chance that it will be raining than not. It was raining on the day that we went and it was still beautiful. The forest and clouds were sometimes covered in fog and mist and it made them beautiful and mysterious looking. Plan on wearing proper footwear. While the trails are generally not bumpy, parts CAN be steep and slippery, particularly if it is raining. Your might be looking at all of the options for Arenal tours, wondering where your vacation funds will give you the biggest return on investment. An Arenal hanging bridges tour should be on the top of your list. Yes, you CAN visit the park on your own and explore the bridges. You MIGHT see some animals during your hike, but I guarantee that you will not see the huge variety of animals that we did. 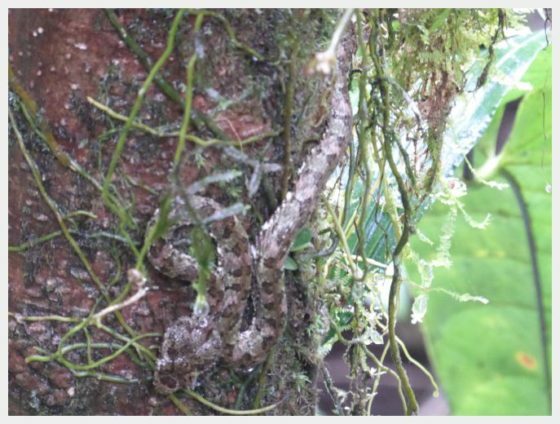 Another rain forest encounter that we probably wouldn’t have had without our guide. Our guide was AMAZING! His trained eyes picked out many animals in the trees and in other hidden spots that we NEVER would have found on our own. When he found an animal, he set up a telescope focused on the animal so we could look and get a close up view. This was especially exciting for the kids because they couldn’t always see them otherwise. For the most part, the animals were not readily viewable right on the side of the trail. Our guide was constantly working hard to find as many animals as he could for us to see and learn about. This allowed us the freedom to enjoy the experience instead of trying to look for animals that we probably wouldn’t have found anyways. 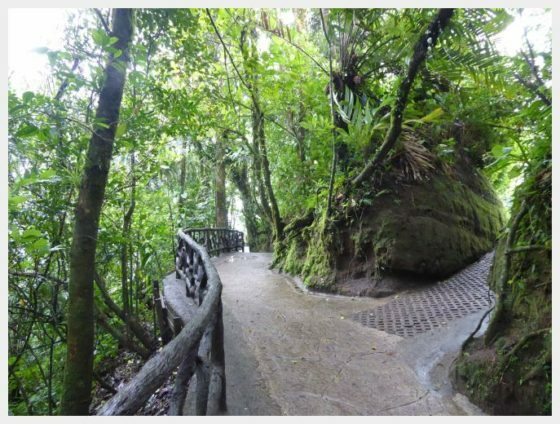 My initial reaction after reading many reviews on Tripadvisor for Mistico Arenal Hanging Bridges Park was that the folks who had hired a guide all had AMAZING experiences. Those that did not were less enthusiastic. After having our own amazing experience, I can tell you that hiring a guide made a WORLD of difference for us. We booked our tour directly through the Mistico Arenal Hanging Bridges Park website, but there are many tour operators who offer this tour. They picked us up at our hotel and brought us back, reliably on time. 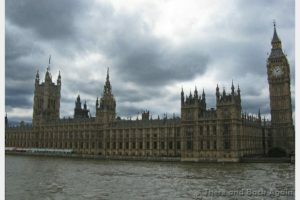 The cost was not huge in relation to the enhanced experience that having a guide provided. If you are going to take the time to visit, we highly recommend taking a tour (especially if you have kids) because you will get so much more out of the whole experience. The Mistico Arenal Hanging Bridges Park is one of the top things to do in La Fortuna Costa Rica. Our Arenal hanging bridges tour was a highlight of an already amazing trip. 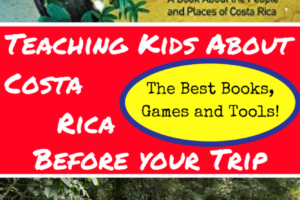 Our kids LOVED the experience of being able see so many animals, cross fun hanging bridges and to get a first hand view of the rain forest canopy!